IMTFI fellow Ishita Ghosh (along with her colleague Kartikeya Bajpai) studied the mobile banking partnership between the State Bank of India (SBI) and Eko in the bank-led regulatory environment in India. The following post reflects on her research findings. Mobile banking as transformational channel in the developing world can bring financial services to the hitherto unbanked populations in regions that are typically unserved by brick-and-mortar bank branches. Ever since M-Pesa’s unprecedented success in fulfilling the need for secure, convenient platforms for remitting money in the Kenyan market, mobile banking iterations in the developing world has been predominantly built and used for remittances, micro-payments, and micro-transfers. As providers and scholars alike think about expanding the available financial suite of services on the mobile backbone, and especially about moving from remittance to savings services, it becomes important to consider the many factors that may drive the development and uptake of different types of services. The first thing to consider is the regulatory environment within which the mobile banking model is implemented. As far as the telecom operator-led mobile banking model prevalent in African countries is concerned, there is a general drive for telecom operators to enter into unique partnerships with banks and thus connect mobile money users to formal bank accounts. Although instances of using the mobile money “wallet" as a temporary savings or storage device have been recorded in telecom-led mobile banking platforms in Kenya and Uganda, regulators have not permitted telecom operators to leverage these accounts as interest-bearing savings accounts, thereby rendering this collaboration with banks inevitable. In contrast, the bank-led mobile banking model, such as the SBI-Eko partnership in India, is already capacitated to offer formal bank accounts to its users. While telecom-bank partnerships dictate the sharing of all operations, payment instructions, and branding, which may well displace the telecom’s leadership, banks already possess the infrastructure to design and deliver a wide range of financial services and can provide interest-bearing savings accounts without having to disturb any existing headship. When we consider the nature of remittance and savings services specifically, it is important to remember that while the former tend to be discrete, unidirectional, one-time transactions, the latter are longer-term financial transactions, where money is locked-in with (typically) a penalty on withdrawals to limit them. What we discovered during our appraisal of the SBI-Eko mobile banking service in India is that this is a crucial difference that may form consumer trust in an atypical banking platform such as mobile banking, and therefore drive the uptake of the financial services. For instance, due to their discrete, one-time nature, remittance services can be easily tested on an alternative platform. We observed such practice in Delhi where users would remit a small amount of money (between 20 and 40 cents) that they could afford to lose, the first time they were using the SBI-Eko service. They would then call their recipients up to confirm that the money had been transferred successfully. If so, users would then begin to trust the service and use the SBI-Eko remittance service again. Sometimes users would use the service based on the successful trial experience of a friend or family member. We met one user in particular who was sending money to his wife in small amounts, but doing so frequently. He did not fully trust the SBI-Eko service provider, because it was a departure from the traditional, brick-and-mortar banks, despite having successfully sent money many times over. He reasoned that the smaller quantum of remitted money was a loss he could afford to bear, in case a given transaction did not complete. Therefore, we discovered that users were putting the remittance service on trial directly, or they were depending on the successful trials of their friends or family members. In some cases, the outcome of a preliminary trial determined the service’s continued patronage, whereas in other cases the discrete nature of the remittance service permitted the testing of the service even on a sustained basis. Savings services, on the other hand, inherently do not allow users to put the service on a quick trial - at least, not without sufficient risk to their savings. Therefore, when such an option is lacking, users tend to trust atypical channels such as mobile banking for savings transactions, if they trust the partner bank (users were almost never aware of Eko’s brand). We also observed that in a few instances users signed up for savings services when they trusted the agent directly. In general, users tend to be less obliging of any breakdown in the completion of a savings services, when compared to remittance services, since this would entail the potential loss of a larger chunk of money. In fact, we discovered during our fieldwork that users exhibited dissimilar expectations from remittance and savings products. We observed such behavior in Patna where a collapse in the back-end handling of savings accounts led to a severe erosion of confidence in the Eko-SBI savings product. Due to an operational glitch, all activity had been suspended temporarily on the newly opened savings accounts. When savings customers first realized this, they instantly panicked, and any reassurance provided by the agents or Eko’s representatives was disregarded. As soon as their accounts were reinstated, most customers immediately withdrew all their savings and ceased to transact with their savings accounts. 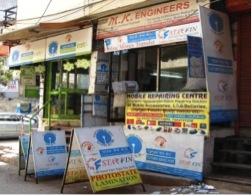 Unsurprisingly, this severely impacted the reputation of the SBI-Eko savings product in Patna. Interestingly, however, customers still trusted the SBI-Eko remittance service. In fact, customers continued to return to the remittance service despite frequent server downtime and other network snags. This example demonstrates a complex picture of how users may trust and consider the same service provider in different ways according to the financial service in use. It also indicates that providers must especially focus on providing seamless savings services, as any failure adversely impacts the reputation and thus the subsequent uptake and activity on these accounts. To conclude, we want to point out that, despite these important differences in their temporal spans and in the possibility of testing them, remittance and savings services may not be in practice completely divergent. As a migrant in Delhi, who was originally from Bihar, told us, “I send what I save to my family.” It begs the question: does this count as a remittance or savings practice? Typically, this difference is recorded on the provider’s end based on the service platform used to complete them. But remittance and savings services demonstrate some inherent affordances that can collapse any disparities between them, if provisionally. For instance, we met one user in Delhi who sent money to his wife in Bihar 2-4 times a month on average. However, instead of using the SBI-Eko remittance service to transfer money to his wife’s account, he was actually depositing money into his own savings account at a lesser fee. He had left his ATM card (and the PIN) with his wife back in Bihar, who could now go to the nearest ATM machine and withdraw money directly. We met another user in Delhi, who had a regular savings account that was registered in the state of Madhya Pradesh. He was therefore incurring a severe liability for making deposits out-of-state. To prevent the fee, he was using the remittance service to send money into his savings account at a lower cost. He then used his ATM card to withdraw money from the many ATM machines around the city. These examples demonstrate that users may use the savings service as a remittance service, and vice versa. This is something that providers and scholars must remain mindful of while designing financial products and services for unbanked and under-banked populations. IMTFI fellow and researcher Anatoly (Jing) Gusto’s project looks at dispensing cash grants in the Philippines. You can find out more about the project here. The potential of social transfer schemes to boost electronic payment adoption and ultimately financial inclusion is starting to gain recognition (see, for instance, Zimmerman 2012). Our findings are drawn from a study involving a group of beneficiaries of the “Pantawid Pamilyang Pilipino Program” (4Ps), a conditional cash transfer (CCT) program based amongst an indigenous group in the Philippines. They point to three major issues that stakeholders need to think about when selecting channels to make it an effective gateway for financial inclusion. The following is a roundup of how continual changes in Technology, user and cultural contexts and the denomination of bank notes are major factors in promoting financial inclusion and particularly savings among the poorest of the poor. Regulators have made a concerted effort to help distribute cash grants to beneficiaries by thinking about how to apply new technology. But just as project proponents, channels, and direct beneficiaries are starting to get accustomed to one mode, new technologies and models begin to appear. In the Pantawid Pamilyang Pilipino Program (4Ps), several disbursement modes were adopted by the Department of Social Welfare and Development (DSWD) and the Land Bank of the Philippines (LBP), a depository and disbursing bank of the Program. At the start, cash grants were disbursed through the LBP Cash Card (non-interest bearing debit card account) and could only be withdrawn from Automated Teller Machines (ATMs). Today, a portion of the grants are already released via the over-the-counter method in the LBP bank branches and through other conduits including rural banks, cooperative banks, cooperatives, non-government organizations, merchant partners of one electronic money issuer, and through the Philippine Postal System (PhilPost). Each new technology brings not only new business models and processes, but also new information that needs to be learned and accepted by all concerned. The pace of change is daunting, especially for organizations that must work with millions of individuals nationwide, not to mention other social welfare functions they have to attend to. LBP has shown its openness to other disbursement channels, most recently one that involves point-of-sale (POS) terminals. Post fieldwork meetings with DSWD and LBP revealed that there is an effort to explore how other channels, including biometrics and POS terminals, can be used in partnership with conduits and merchants. 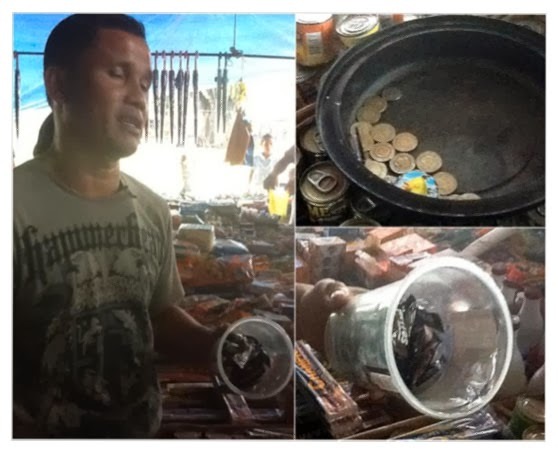 In a recent payout in Palawan in 2013, CCT beneficiaries reportedly got the chance to purchase and pay for goods in the merchant’s store without using cash by swiping their ATM cards on a POS terminal and entering their Personal Identification Number (PIN) which is the same PIN used in the ATM. A payment transaction which results in an electronic deduction of the purchase amount from the beneficiary’s cash card and corresponding credit to the merchant’s deposit account is believed to be convenient as it eliminates or reduces the need for beneficiaries to take the extra step of going to the ATM to withdraw money. Regulators and providers must understand that the CCT beneficiaries are a new and unique client segment that enjoys regular, steady flows of capital (sometimes into a deposit or debit account). While technological advancement offers new options in the distribution of cash grants, the context with which the “target clientele” operates is still the same. CCT beneficiaries are economically vulnerable, with relatively low levels of education, they may also be more comfortable operating in the informal sector. In the case of Indigenous groups, their traditional cultural practices and rudimentary experience in using/storing physical cash causes problems. Regulators may be ill-equipped at the moment to serve and monitor this market if their focus is limited to formally regulated institutions. In the Philippines, indigenous people, particularly from the uplands, had initial doubts with the program and at first could not believe that the government would give them money for the betterment of their children’s education and health. Fortunately, with the help of locals known by the indigenous group (municipal links and parent leaders), DSWD was eventually able to allay fears and gain their trust. Municipal links and parent leaders were able to help by carrying out the transactions for the indigenous groups. At least in the areas visited, cash is perceived with little value beyond its function as a means of exchange. In fact, storing cash in physical wallets or purses among indigenous groups is not a common practice. When asked where they store their money, they said they just put them in plastic bags or in an envelope containing their other CCT documents. There are a few who set aside some amount of cash for covering future school related expenses of children, in particular school projects and food and transportation allowances, and for emergencies. What is more common are baskets that indigenous groups carry in their backs which they use for transporting goods they barter, sell, or purchase. There is evidence that regulators can be flexible and creative which is what is needed to develop digital strategies that work in a specific context. For example part of the recent enhancements carried out by LBP and DSWD involves partnering with non-bank financial institutions as well as civil society organizations (CSOs) in the implementation of the program. Furthermore, there are signs that they are interested in knowing whether cash is really a prerequisite to be able to promote access to investment goods for the education and health of children. Is there a way for poor households to have better access to these funds or equivalent goods for education and health without using cash? A conditional cash transfer, paid in high-denomination banknotes can result in “value leakage” as problems of access to the entire amount of the grant arise. For example, take a payment of ₱2800. 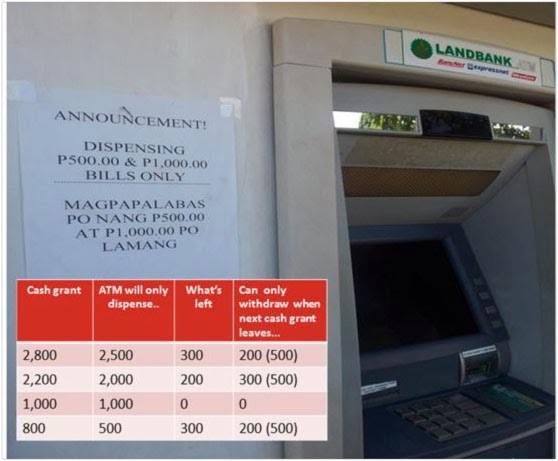 If the ATM only dispenses ₱500 or ₱1000 notes, this is disbursed as two ₱1000 and one ₱500 bills, forcing a “leftover” of ₱300. Some merchants who sell goods during payouts have difficulty in giving the exact change as most transactions involve high-denomination banknotes for small purchases (e.g. less than ₱100). One merchant resorted to using candies in lieu of coins when he runs out of smaller bills for change. We have seen that while technology can be considered a limitation in terms of providing recipients the immediate access they need to the exact amount of the grant, we have uncovered practices and a growing mindset among beneficiaries associated with the denomination of banknotes and coins that provide opportunities for mobile and electronic money development. In particular, ATMs that dispense only high-denomination banknotes force people into “saving” amounts of their cash transfer between those denominations—and some report satisfaction with this outcome, saying that it helps them to cover unexpected expenses in schools and buffer financial crises. In one instance, a recipient even inquired if it is possible to credit those funds to a deposit account. Banks that serve as conduit partners for CCT must grab the opportunity to help with account opening in order to ensure that recipients get a CCT payment. The objective of conditional cash transfers is for poor households to be able to invest (spend) in the education and health needs of their children. Our research has shown that CCT proponents must not only ask about “how to improve the delivery of grants,” but also “how to ensure an affordable and convenient way to purchase/deliver the needed goods/investment in the poor households.” The relevance for CCT beneficiaries of any form of value is not just related to its ability to be transferred and cashed out (liquidity), but also the ease of dividing it into smaller units of value (divisibility) conducive for small purchases. Aligning technology with the actual delivery capability in the field is a challenge that CCT proponents will need to face in considering any other distribution channel. In the case of the Philippines, cash grants are often still disbursed through a non-interest bearing debit account. Banks that serve as conduit partners might be able to take advantage if beneficiaries are offered the opportunity to open a savings account where payments can be made via SMA. This way beneficiaries can be given incentives to save and maintain a higher balance. The accounts can be made more appropriate if they also include features such as bank transfer/remittance, bill payments, airtime top-up, insurance availment, etc. The example of indigenous groups using the ATM machines indicates that while there might be a relatively simple technology already available, the CCT segment is still typically characterized by lower education levels and lower exposure to technology. These will require that any new technology introduced will need to include a significant training component that emphasizes the benefits of using the service as well as the mechanics of accessing the service. Link to their final report: "Delivering Cash Grants to Indigenous Peoples through Cash Cards versus Over-the-Counter Modalities: The Case of the 4Ps Conditional Cash Transfer Program in Palawan, Philippines"